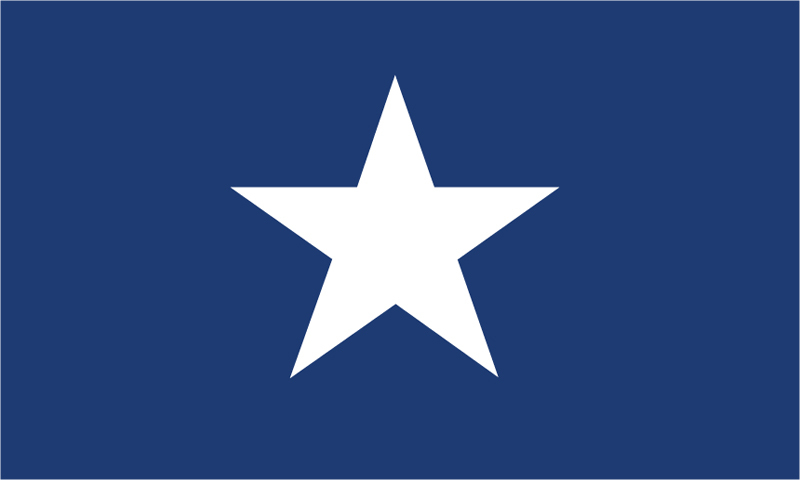 The Bonnie Blue Flag which features a lone white star on a blue field, was the flag of the Republic of West Florida. In September 1810, residents of the Spanish territory of West Florida revolted against the Spanish government and declared independence. Settlers of West Florida raised the flag on September 23, 1810 signifying their independence. On December 6, 1810, the United States annexed West Florida and it ceased to exist after a short existence of just 74 days.